Knosys Limited (ASX: KNO) (“Knosys” and “Company”) is pleased to report another strong quarter in terms cashflow and operations. During the quarter Knosys finalised the extension of a major long-term contract with its largest customer, ANZ, for a further 3 years, plus two 1 year options, with an expanded user base. With Singtel and Optus now onboard as major customers, Knosys is proving itself as a leading vendor of knowledge management solutions in the region. The total licence count at September 2018 was over 36,000, representing a 100+% increase compared to September 2017. The total user licences will increase further in the December 2018 quarter, mainly due to the implementation of Knosys software within Singtel’s Singapore operations. 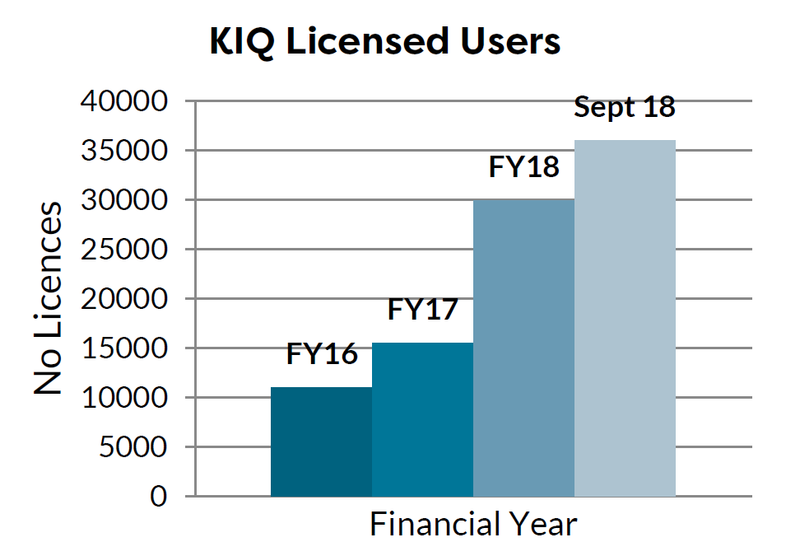 The continued growth in user licence numbers is displayed in the adjacent chart. 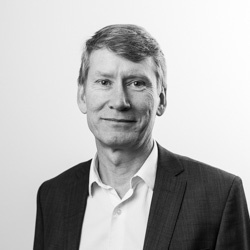 “With the capital raising now behind us our intention is to focus on building our sales and marketing capabilities, while continuing to invest in the KnowledgeIQ (KIQ) product to release new features towards the second half of FY19.” “We have established an active M&A process to identify companies who are delivering innovative new solutions that automate processes, increase productivity, or reduce risk within a business. Whilst early stage, this initiative may offer the opportunity to accelerate our growth by delivering complementary products to an expanded customer base. The ASX Appendix 4C quarterly statement is attached to this report. The cash balance at 30 September 2018 was $3.8 million with net operating cash inflows of $372k for the quarter, including inflows of $1.6m from sales revenues which includes over $1 million from the newly extended contract with Knosys’ long term major customer, ANZ bank. Gross operating cash outflows were inflated by the one off costs for recruitment fees and annual bonus payments. Cashflows from Finance Activities for the quarter included new capital inflows of $2.65m (less costs) raised from the fully underwritten the rights issue in August 2018. As required in Section 9 of the Appendix 4C, gross operating outflows for the December 2018 Quarter are estimated at $950k of operating cash outflows, and $70k of capital expenditure is related to the office relocation into larger premises. The Appendix 4C does not allow for estimates of operating cash inflows, however the company estimates that the gross operating cash outflows will be more than offset by operating cash inflows in the December 2018 quarter. Higher customer cash receipts in the June/July of each year, due to large annual licence renewals, and lower receipts in other months reflect this revenue model. However, the addition of Singtel and Optus as major customers will now provide a spread of cash inflows to Knosys across other quarterly cashflow periods.